Economic railway operation involves the cost-optimized management of buildings, reliable information systems, safe control of signals and data, as well as the constant and rugged use of components and systems in rail vehicles. 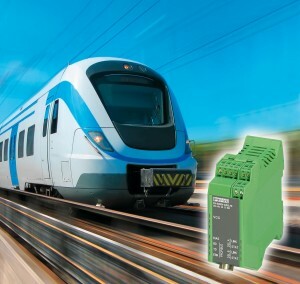 In order to integrate remote users in a broad-band network within railway applications, the SHDSL high-speed modem from Phoenix Contact has now been certified for railway applications in accordance with EN 50121-4. The modems for Ethernet and Profibus have two DSL ports to quickly and simply commission point-to-point connections, link redundancy, as well as line and star topologies. Depending on the interface being used, data rates of up to 30 Mbit/s can be achieved on existing copper lines. At lower data rates, it has been possible to bridge distances of over 20 km in the field. This modem boasts the following six features: good user friendliness, network transparency, diagnostic functions, two configurable alarm outputs, as well as two SHDSL ports on each device. What’s more, the device no longer has to be configured using dip switches. Interested to find out more? Fill up the form below to contact William!